slip ring assemblies have been utilized in a wide range of industries. They have helped simplified so many lives. slip rings and brushes are used in many rotatory devices and both lightweight and heavyweight machinery requires them. The only difference is in their strength and categories. slip ring technology undergoes evolution with time to incorporate numerous features and specifications. function of slip rings spans across various niches and industries. Here is a list of certain applications of slip rings which are significant for human civilization. Various packing and paper making industries make use of slip rings to unwind and wind rolls for various materials. Other processes where slip rings are used include signal transmission, power transmission and hydraulic transmission. This is done via rotatory connections. Roll slitting is the process through which winding and unwinding of materials is done. It involves shearing action which helps trim large rolls into much narrow ones. Another process is rewind slitting where unwinding of the web is done. This is followed by trimming of the web through knife or laser, and then the material is rewound again into narrower rolls. slip ring assemblies also find use in circular reclaimers and stacking. These processes help load and unload bulk materials. They are used in major ports and airport terminals as well as power generation plants where it is used for carrying fuel as well as handling biomass and waste materials. A slip ring assembly helps in sound transmission, signal control and power transmission from stationary to rotatory stages. It is used in rotating stages and channels may vary as per the complexity of the stage. They are more or less customized as per the requirement. 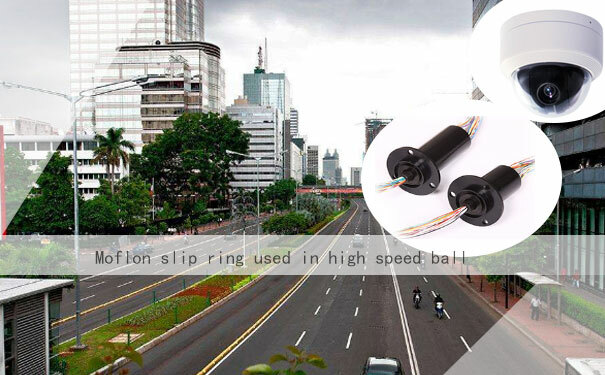 Slip rings used for this purpose may be power slip ring, signal slip ring, optical slip ring and even rotary fluid joint which are fused into one single slip ring unit. Slip ring assemblies also find use in offshore crane systems to ensure effective and efficient operation even in harsh climatic conditions. They include high and low power slip rings, rotary joint, signal slip ring. These assemblies consist of almost a hundred channels fused into one single unit. Slip ring assemblies are also helpful in industries and machinery where high starting torque and low starting current are essential. Most motors, engines and generators have motor and stationary units and slip ring assemblies only enhance their efficacy and durability. It also finds used in heavy load inertia machinery like mill drives. Slip rings are also helpful in low signal areas for transmission related purposes. Other industries for slip ring use include cement factories, mining and water works. 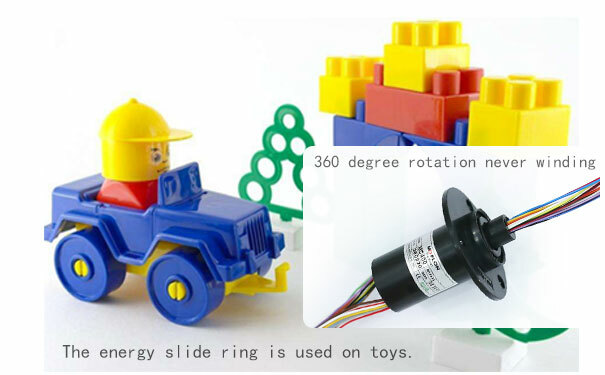 Wind turbines and wind farms use slip rings for pitch control and generators. Moflon has provided slip ring assemblies for many industries including aeronautics, military, power plants, and so much more. The high quality high durability slip ring assemblies only enhance the efficacy of your machinery.